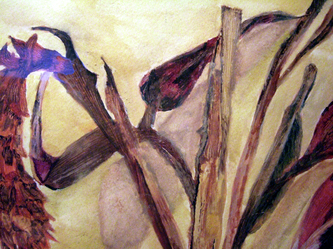 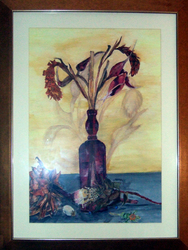 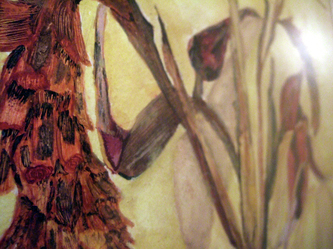 LANA's early works consisted mainly of watercolours of still life. 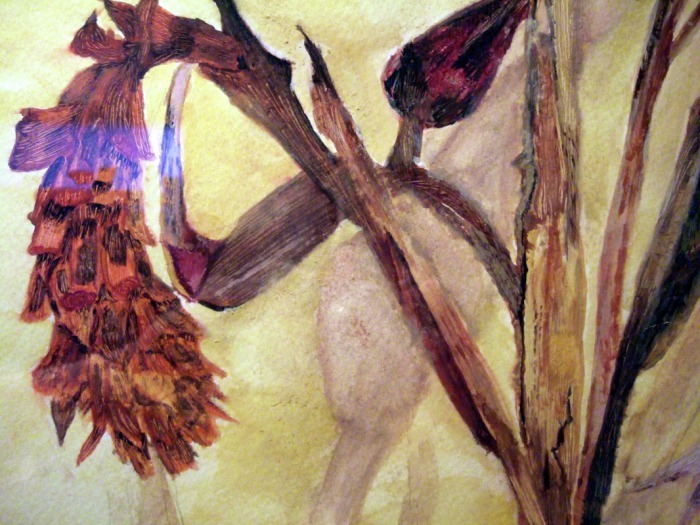 In this piece 'Flowers', she used a variety of tools to work through the layers of paint in order to capture the texture and detail of the exotic plants. 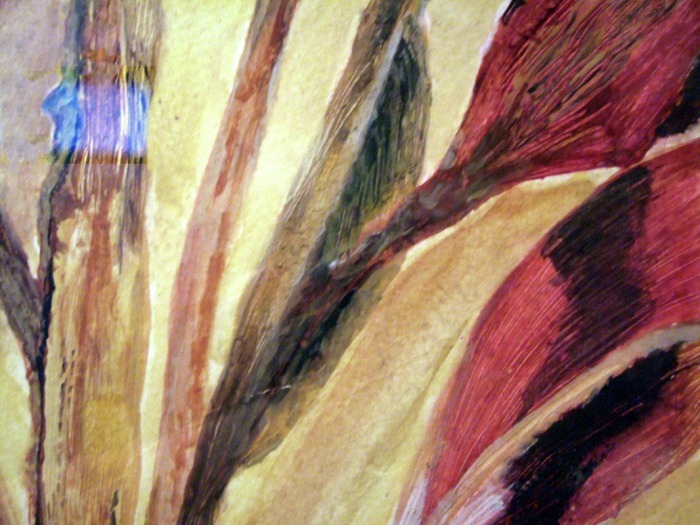 Striking colours and unusual forms were the underlying factors to her compositions. 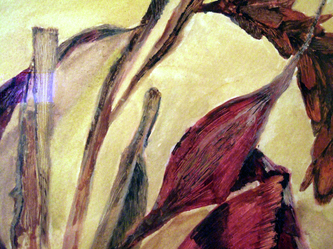 'Flowers' was exhibited at Modern Art Oxford as part of 'The Oxford Open' exhibition in 2008.